it's about 1m high so i need to trim it, but i was wondering if i could use the top branches that i'm going to trim anyway, to graft these onto the part i wish to train as a bonsai? if so, which grafting methods are most effective? thread grafting or approach grafting? 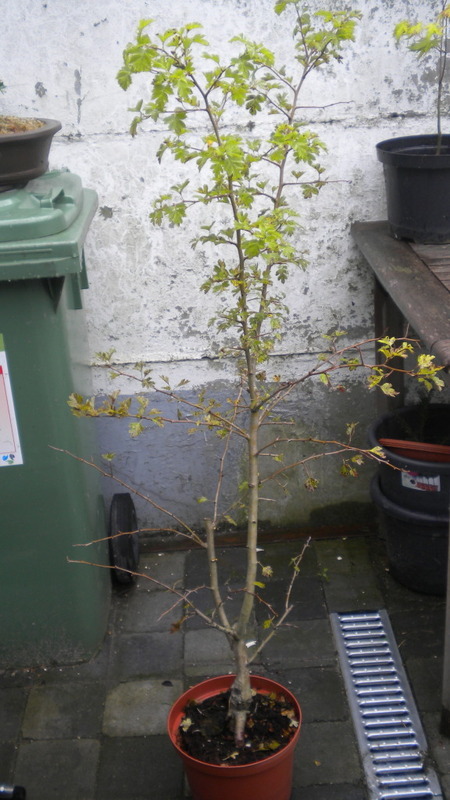 or won't i need to do any grafting and will this hawthorn backbud when i trim the upper parts? Normally hawthorn doesn;t need any grafting; It backbuds very well, even on old wood. Once you cut the tree in winter, the plant will award you with a flush of green all over the leftover bit. thank you.. so i will plant this one in my garden for now..
best is to cut of the top in winter? won't it heal faster in summer when the cambium restores faster?